With the river season closing, it’s time to start focusing on stillwater venues. There are a number of things I like to do before heading for the bank, and one of the first is to re-spool with new line. In my view, line and hooks are the two most important items of tackle. A fault with either will inevitably lead to lost fish, and in specimen fishing that lost fish could be the catch of a lifetime. I use a line stripper to remove my old line, which is recycled. I find the best way to load new line to minimise line twist is to put a pencil through the line spool and trap it between my knees. This enables me to apply slight pressure as I wind it on to to my reels. 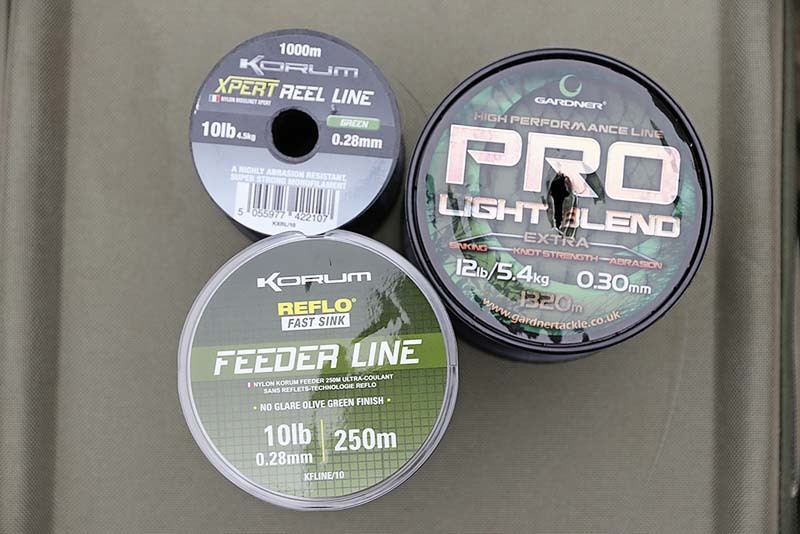 Be careful not to overfill the spool, as doing so leads to tangles, not extra casting distance! In spring fish are often tightly shoaled up, leaving large areas of water fishless. 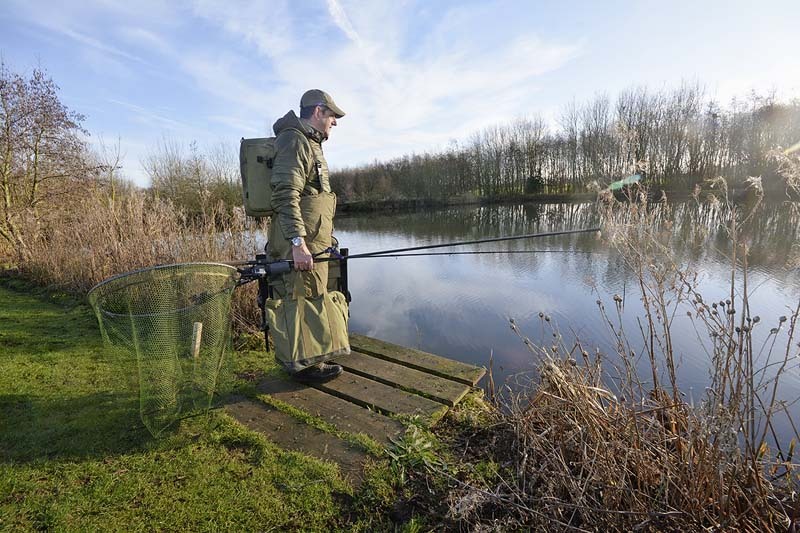 Don’t therefore arrive at a stillwater venue with a set idea of where you are going to fish. An hour or two spent trying to find your chosen species is a good investment of your time. Three things are essential if you want to maximise your chances of locating fish – polarised glasses, a peaked cap or hat, and binoculars. It’s not just the obvious signs of fish – be they under the water, rolling or crashing out – that will pinpoint where the fish are. Look for bubbles caused by fish rooting on the bottom, disturbed silt, and ‘flat’ areas0 where a fish has turned near the surface. Even the slightest sign is better than choosing a swim because it just happens to be convenient. If, like me, you spend most of the autumn and winter fishing rivers it’s likely you’ll not have used much of the tackle you use for stillwater fishing for quite some time. It makes sense to go through it at home before your first session, check everything is in order and make a list of any items that are missing or running low. The last thing you want is to run out of an essential item on the bank. As well as the obvious, such as hooks, check for things like scissors and baiting needles. On my first tench trip last year I discovered I had taken my blades out to replace those I’d lost from my river bag. Chopping worms with the tiny pair of scissors on the mini Swiss Army knife on my key ring was challenging, to say the least! Few things fire my enthusiasm to catch big fish more than reading about other anglers’ successes. In my youth I read books by Frank Guttfield, Peter Stone and Jim Gibbinson and I can still recall some of their stories. 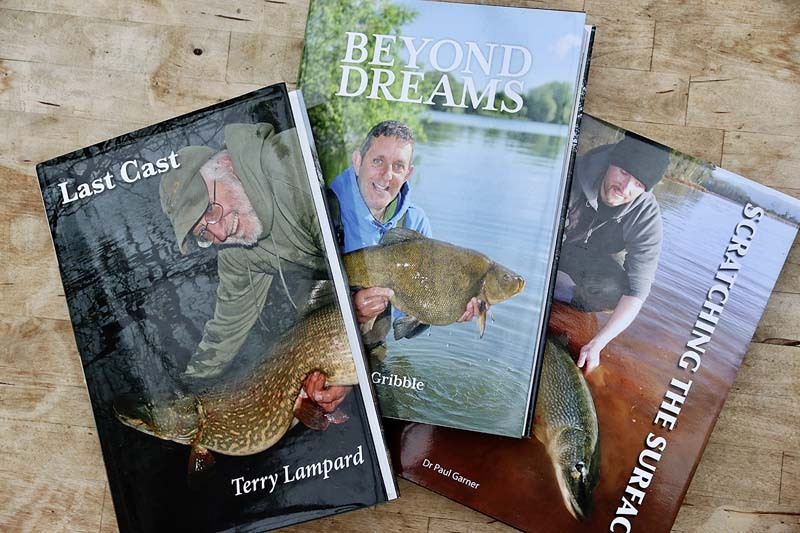 More recently Terry Lampard, Paul Garner and Terry Theobald have all made me want to get out in pursuit of specimen fish. It’s apparent when you read such books that success is rarely instant and even the most successful anglers have lean spells. Nevertheless, reading tales about big fish captures will be inspirational. Who knows? In a few years’ time it could be you writing a book that fires up the next generation of anglers! Many commercial fisheries have a good stock of perch that are unfished for. These fish generally ignore pellets and other man-made baits, making anglers oblivious to how many stripeys are present. 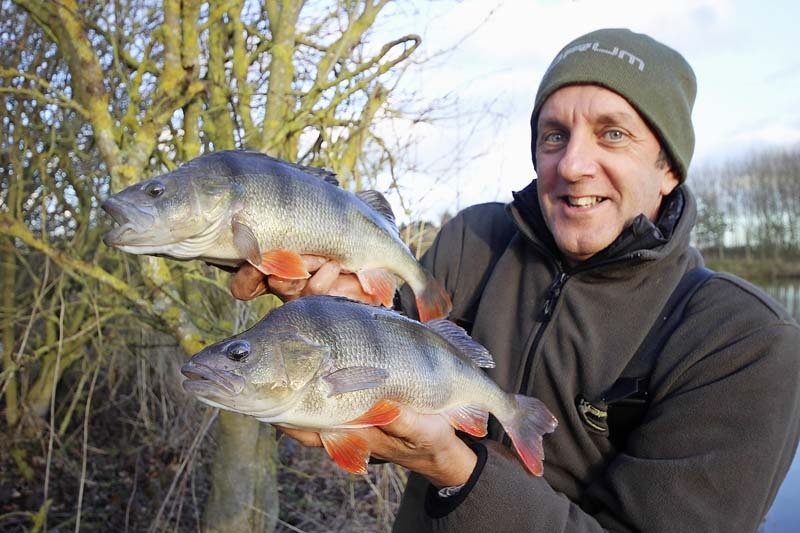 In many commercial lakes the perch are largely ignored, and there can be some nice surprises in store. Often these perch are found very close in, especially if there is some cover nearby. If you can find an overhanging bush or a reed bed, there’s a very good chance that perch won’t be far away, so introduce a little bait close by and cast a worm over the top – there’s a good chance it will be taken by one of these predators sooner rather than later. When deadbait fishing for pike it’s imperative fish feel little resistance. Drop-off indicators are perfect for this. Adjust them so the line stays in the clip despite any drag from the water but will pull free with the minimum of effort when a pike picks up your bait. With an open bail-arm the pike can then take the bait and feel no resistance. the pike moves it will take line off the spool. At this point close the bail-arm, allow the line to tighten and, as it does so, strike. There’s no need to wait, as the bait will be in the pike’s mouth. Delaying the strike will increase the chances of a pike ejecting the bait or being deeply hooked.